Nexteer is helping to enable high levels of vehicle autonomy with its steer-by-wire vehicle control products. Nexteer Automotive is continuing to expand its automated driving portfolio with the introduction of two steering technologies that enable advanced safety and functions for Level 2-5 automated driving. 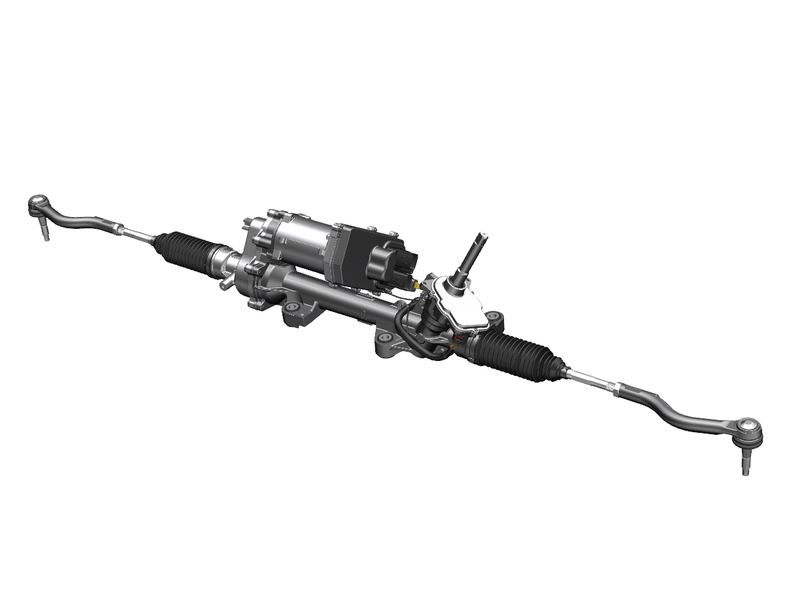 Nexteer’s high availability Electric Power Steering (EPS) and its advanced Steer-by-Wire (SbW) system are showcased at the 67th IAA International Motor Show in Frankfurt, Germany. Nexteer’s high availability EPS is designed for resilient operational availability, using top-rated, high reliability components and intelligently optimised through additional redundancies in torque and position sensors, electronic control units, winding motors as well as dual sets of vehicle power and communication connectors. In SbW, the mechanical connection between the road wheels and the steering wheel is replaced with electronics and actuators on the column and rack. This system supports both manual and automated driving and opens new possibilities for advanced safety features, vehicle light-weighting and packaging flexibility. “While other SbW systems may give a numb or ‘video-game-like’ steering feel, our SbW offers a wide range of steering feel, including lively road feedback,” said Lubischer. According to Lubischer, Nexteer’s SbW system is highly customisable to match an OEM’s DNA or brand character – from a sporty, high-performance experience to a luxury steering feel. In addition to steering feel, SbW’s road feedback and road surface detection play important safety roles for the driver. Lubischer explains that the steering system needs to communicate to the driver that he or she is on an icy road or slipping on loose gravel, for example – even though the steering wheel and road wheels are electronically linked in a SbW system. SbW also opens new possibilities for advanced safety functions, such as collision avoidance, stability control and more. Advanced safety features can be implemented with the steering system alone or in combination with the braking system to achieve even higher safety levels. To this point, Lubischer also noted that Nexteer & Continental’s JV , CNXMotion, will combine Nexteer’s advanced steering systems with Continental’s advanced braking technologies into solutions for Automated Driving and Advanced Driver Assist Systems (ADAS). According to Lubischer, Nexteer considers its SbW as a foundational technology and exploring ways to create “well-informed steering systems” of the future to increase driver safety by gathering data from the driver, vehicle, road and environment to increase safe steering maneuvers. As a key automated driving enabler, Nexteer’s SbW supports other advancements – such as Nexteer Steering on Demand System and Nexteer Quiet Wheel Steering. Steering on Demand enables the transition between the driver and automated driving control through safe, intuitive steering transitions for vehicles capable of SAE Level 3, Level 4 and Level 5 automated driving. The system also empowers the driver to tailor his driving experience through various driving performance options including a sport, comfort and manual override mode. When driving in automated mode, Quiet Wheel Steering conveys safety and security by receding and remaining still – even while the road wheels are turning.